Main Benefit – Fast collection of operating room equipment on demand. Special features –HӓnelSoft storage management software. Florida Hospital in Altamonte has the very latest medical equipment, including innovative screening technologies, to provide comprehensive medical care in central Florida. 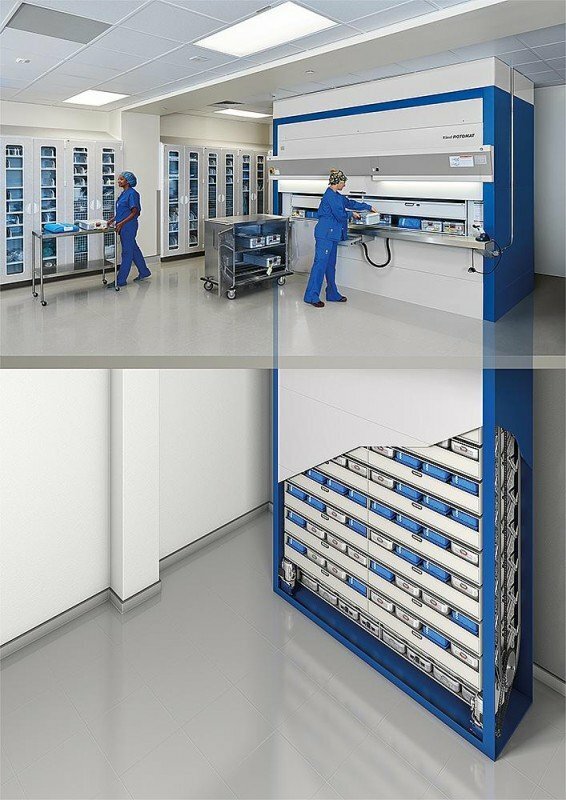 The hospital relies on several Hänel Rotomat systems for storing sterile material and surgical instruments. To ensure the systems provide maximum storage volume, the one Rotomat which is located just a few steps away from the area, was installed in a shaft having a depth of 6 metres. 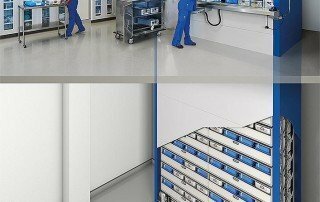 Since the system has a total height of 8 metres, an enormous amount of storage capacity is available within a minimum footprint. 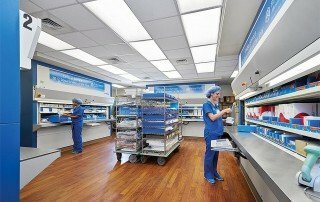 In the central supply depot, various medical items are organised effectively in four Hänel Rotomat systems. 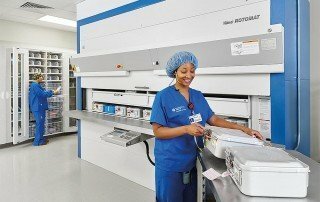 The systems are used to store surgical instruments in sterile containers to protect them from all kinds of contamination. The retrieval of these containers takes place at the optimum ergonomic height with barcode-supported access control, thanks to HänelSoft storage management software showing the identified storage positions and inventory displayed on the system controller. 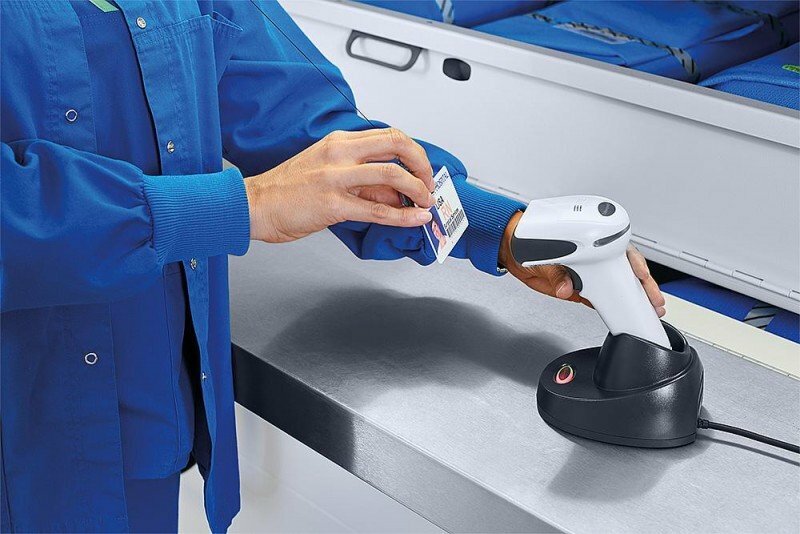 Access into each Hänel Rotomat is granted by scanning the barcode of employee ID cards. 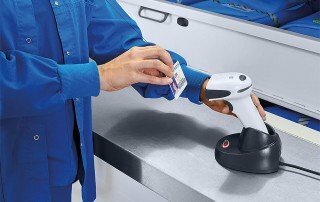 Once logged in, employees enter the item designation using the system controller to retrieve their required item, allowing improved transparency and enhanced security of all stored articles and transactions. 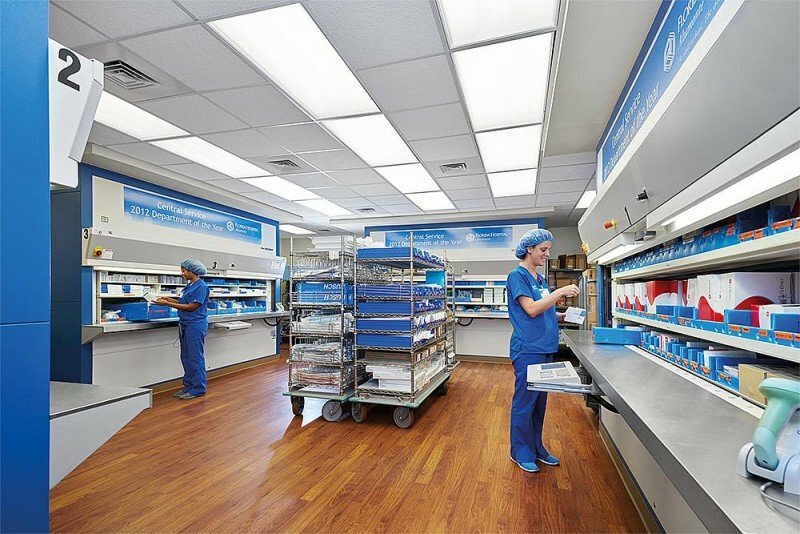 – The overall storage capacity at the hospital has been increased considerably because movable shelf racks are no longer needed, and height of the building is utilised. 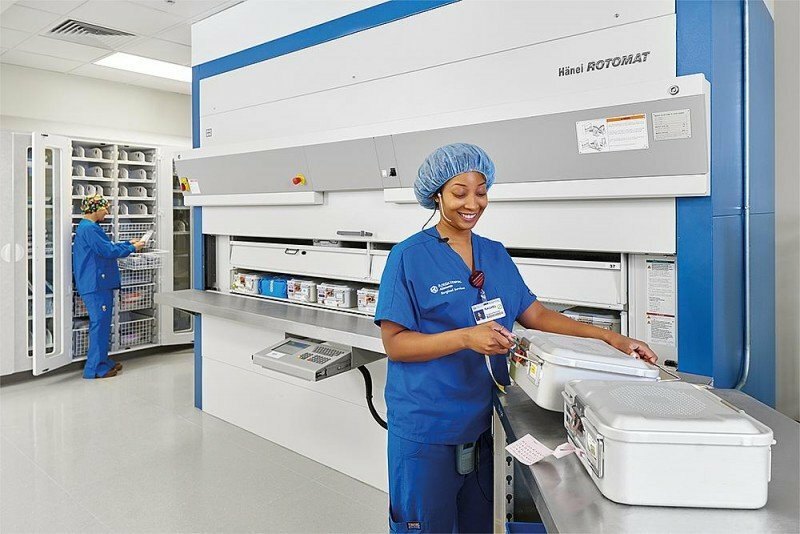 – Speed of pick-and-put operations have also improved, with sterile containers being transported to the access points quickly. – Inventory management with HänelSoft dramatically reduces the chance of errors and makes pick-and-put operations easier for staff.